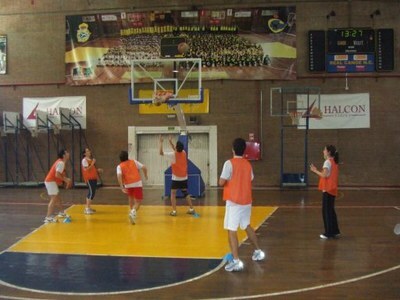 Information about City-organized basketball activities in Albuquerque. Important information and dates for Albuquerque basketball leagues. By clicking on the link below, you will be taken to the Parks and Recreation "Sports Section" league play website. Explore the site and discover essential information provided to league play teams; it is easy to check team schedules, league schedules, standings, and more. Check the latest news tab for information on canceled games, rain outs, and reschedules. We encourage players to revisit the site frequently for the latest information about your league play season. *Please note that all basketball teams must pay a yearly sanction fee. Sanction fee of $50. View Albuquerque basketball court locations.